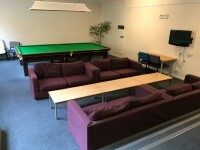 Services / facilities within the building include the reception for Battersea Court and Surrey Court and a student common room. 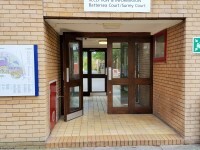 Please see Battersea Court or Surrey Court guides for access information to the accommodation blocks. 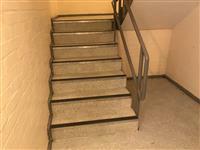 You are on Steps to Battersea Court. Skip to the next section. 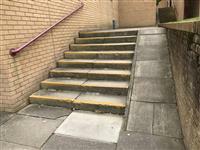 Before getting to any of the Battersea Court Buildings, there are 15+, clearly marked steps with handrails on either both or one side. 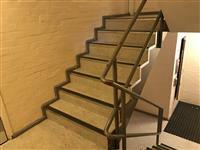 There are 15+ steps from the library to the Pickard building, which is the lowest building. 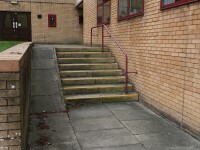 There are another 15+ steps from the Pickard building up the next level which has the Reception and the West Building. There are a further 15+ steps either up or down to the rest of the buildings. 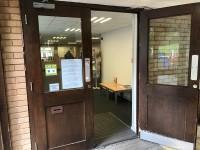 You are on Outside Access (Reception and Tate Block Entrance). Skip to the next section. 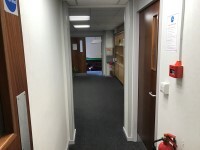 This information is for the entrance located between Tate Court and the Reception Block. The door(s) is / are permanently held open. 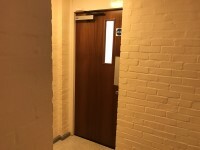 The width of the door opening is 84cm (2ft 9in). 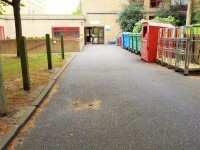 Approaching from Wates and the West side of the campus, there is a steep slope leading up to Battersea Court. 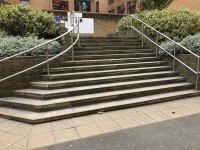 From the main part of the campus and library, there are multiple steps, some without handrails including 1 medium step in front of the entrance on that side (photographs 5 and 6). 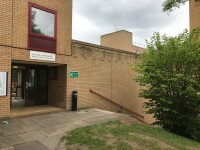 This information is for the entrance located at the rear of the building, opposite the entrance to Tate. 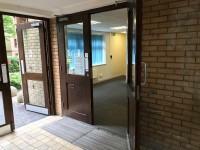 The width of the door opening is 136cm (4ft 6in). 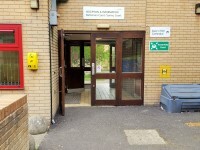 You are on Entrance (From West Building). Skip to the next section. This information is for the entrance located on the first floor in the stairwell. 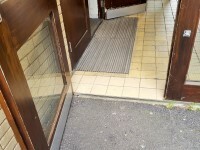 The width of the door opening is 81cm (2ft 8in). There is a/are step(s) at this entrance. 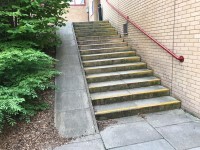 The step(s) is / are located in the West building. There is / are 15+ step(s) to access the entrance. The handrails are on both sides going up. 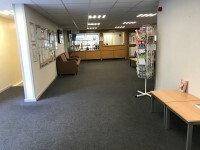 You are on Reception (Battersea/Surrey Court Reception). Skip to the next section. 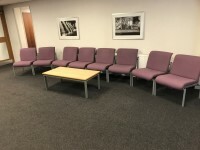 Battersea/Surrey Court Reception is located in the O'Riordan Building. 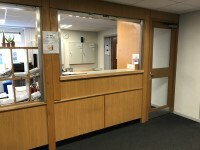 The desk is 14m (15yd 11in) from the main entrance. 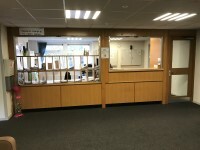 The reception desk/counter is high (110cm+). There is not a bell to attract attention. 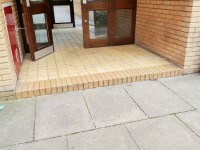 There is step free access throughout the majority of the building. 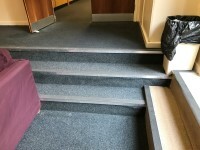 There is/are 3 clearly marked step(s), with no handrails, for access to the common room. The step(s) is/are deep (18cm+). Photograph 1 shows the level change described in level change 1. 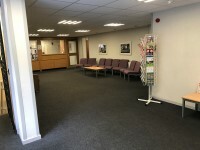 Photographs 2, 3, 4 and 5 show the main reception area within the building. 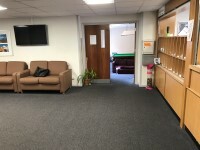 Photograph 6 shows the common room which is located to the left of reception.